﻿ PSG 1-2 Real Madrid. Ronaldo sets Paris on fire! 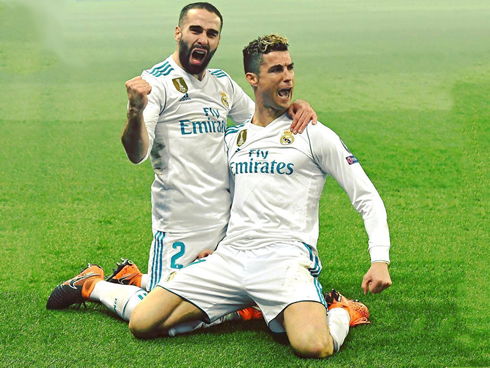 06.03.2018 » PSG 1-2 Real Madrid. Ronaldo sets Paris on fire! It's something hard to explain, but what looked like a death sentence for Madrid a few weeks ago, ended up being a walk in the park. Real Madrid are through to the Champions League quarter-finals after a 2-1 win in Paris and after another Cristiano Ronaldo goal. They're not called the "Kings of Europe" by accident and tonight, Real Madrid proved once again whey they are the most prestigious club in the whole world. Zinedine Zidane's travelled to Paris with a 2-goal lead thanks to their 1st leg win, but against all odds, they dominated every chapter of the game and controlled all PSG's intents in a 2-1 win. After a goalless first half where some of the PSG players on the pitch looked like they had their mind elsewhere probably thinking about their favourite mobile slot games, Cristiano Ronaldo landed the first blow near the 51st minute, finishing off a great cross from Lucas Vázquez. PSG equalized in the 71st minute in a somewhat lucky rebound off Cavani's leg, but down to 10 men thanks to Verrati's sent off in the 66st minute, the French champions failed miserably and would still concede Madrid's winning goal in the 80th minute, this time from a deflected shot by Casemiro. The back-to-back European champions are now through to the quarter-finals and in a good position to defend their crown. It was a massive matchup. The night before, the PSG ultras attempted to keep Madrid players up, but Zidane's men were unfazed as usual. It was an interesting lineup. Kovacic and Casemiro plugged the holes in the midfield, as Lucas Vasquez started on the right with the hope that his defensive work would benefit Madrid in Paris. Isco, Kroos, Modric and Bale all on the bench for a massive European tie away from home? Sounds crazy, but it did make sense. It made so much sense. 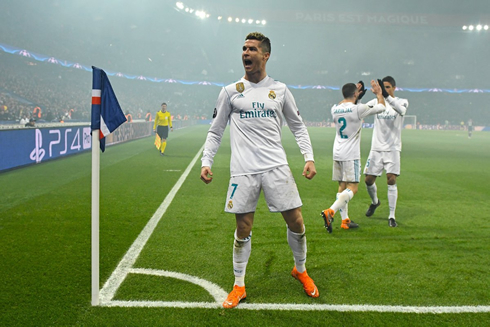 Madrid showed their pedigree today and their European experience as they quite easily handled PSG in Paris, in yet another classic European night. Tempers would begin to flare and after Marco Verratti was sent off for dissent, Madrid knew they had the game in their hands. An unfortunate defensive clearance gave Cavani a lucky goal, but just as PSG tried to muster up enough confidence to make a comeback, Casemiro would end the match for good with a deflected shot that fooled Areola. 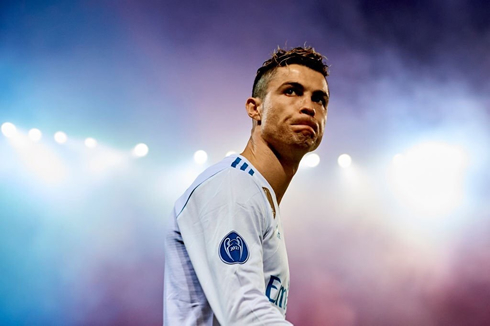 Cristiano Ronaldo next game for Real Madrid is on March 10 of 2018 against Eibar. You can watch Juventus live stream, Eibar vs Real Madrid, Atletico Madrid vs Lokomotiv, Manchester City vs Basel, Tottenham vs Juventus, and Borussia Dormtund vs Red Bull Salzburg, all matches provided from our football live game pages.